This lovely flower belongs to a type of “pig face” and is one of the toughest groundcovers around. 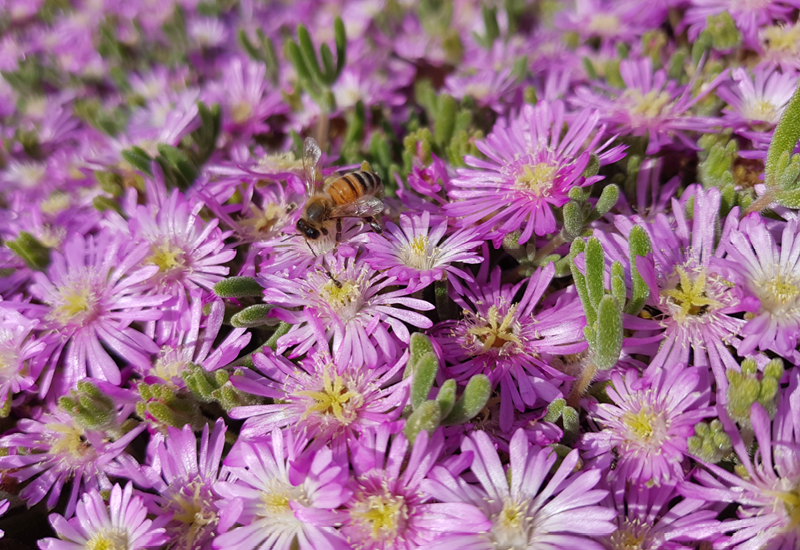 It has tiny round leaves which hug the ground in a dense mat, but the real delight are the amazing candy-pink daisies that appear in spring, attracting bees and butterflies. Loves being planted out in the garden, but equally happy in a hanging basket where it can softly spill over the edges.